Saudi Arabia’s Crown Prince Mohammed bin Salman has arrived in Tunisia as hundreds of people staged protest rallies across the North African country, denouncing the kingdom’s de facto ruler as a murderer of prominent dissident journalist Jamal Khashoggi, who was killed after visiting the Saudi consulate in Turkey’s largest city of Istanbul last month. Bin Salman told Tunisian state television late on Tuesday that Saudi Arabia and Tunisia have long had good relations. “I cannot come to North Africa without visiting Tunisia …Tunisian president (Beji Caid Essebsi) is like my father,” he added. Earlier in the day, protesters marched through the central Habib Bourguiba avenue in the capital Tunis, on the second day of demonstrations against the Saudi crown prince’s visit to Tunisia. “The reasons that encouraged me to take part in this demonstration are that this person, can be blamed for two things. First the massacres that are taking place in Yemen and he is clearly responsible for that. Children are dying as well as the hunger, poverty and misery in Yemen. “Second, this man is against all liberties, any form of liberty, (including) freedom of expression of the press, of women, and of the emancipation of women. What would be positive enough to welcome him?” university professor, Chedli Nafti, said. Civil society activist, Mourad Zaalouni, said, “We demonstrate today to denounce against the visit of the Saudi Crown Prince Bin Salman to Tunisia and is wrong that we are hosting him here officially. This is wrong for the Tunisian state and for the Arab Spring.” He added, “Seeing someone whose hands are stained with the blood of the Syrians and the Yemenis. This Crown Prince is the biggest support to the Zionist entity in the Arab world. He relied on Israel’s support to hide the responsibility of the death of Khashoggi. This visit is part of a regional agenda to harm the Arab Spring.” Khashoggi was killed on October 2 after entering the Saudi consulate in Istanbul. Once inside, he was immediately strangled and then dismembered, according to the Istanbul Prosecutor’s office. A senior Turkish official told The Washington Post on November 2 that the slain journalist’s body was destroyed in acid on the grounds of the Saudi consulate or at the nearby residence of the Saudi consul general. The official, speaking on the condition of anonymity, said biological evidence discovered in the diplomatic mission garden supports the theory that Khashoggi’s body was disposed of close to where he was killed and dismembered. “The number of (Russian) tanks at bases located along our border has tripled,” Poroshenko said in a televised interview with Ukrainian television networks on Tuesday. The Ukrainian president didn’t give Russian troop numbers, but said the information on the military buildup was based on intelligence reports. He said that the numbers of Russian troops in Crimea had tripled since the Black Sea region of Crimea re-integrated with Russia in 2014. 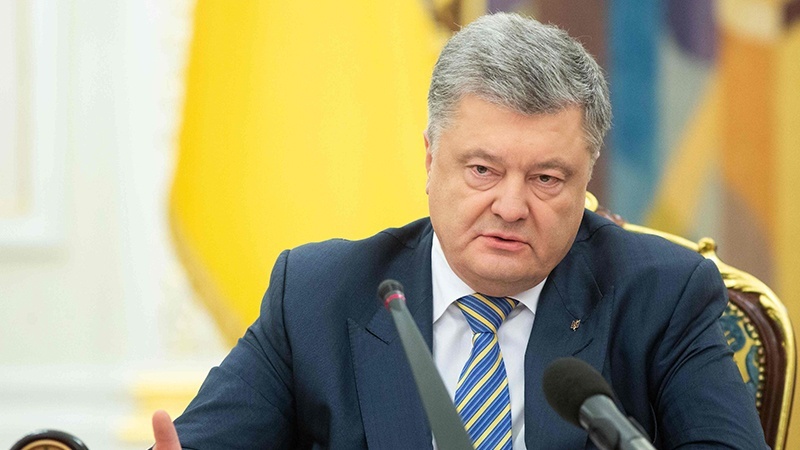 Poroshenko went on to say that authorities will take all necessary steps to release Ukrainian sailors, who were detained at the weekend when Russia seized three Ukrainian vessels off the Crimean coast. “Immediately at night, I ordered a phone conversation with the President of Russia Putin. We did not receive response and I had to address to the German Chancellor (Angela Merkel) so that she can talk to Putin on immediate release of Ukrainian servicemen and Ukrainian ships,” he pointed out. On Sunday, Russian warships fired upon the Ukrainian navy ships Berdyansk and Nikopol and the tug boat Yana Kapu, ramming at least one vessel and wounding several crew members. Ukraine says the ships had been trying to pass through the Kerch Strait, which is a waterway with strategic significance and the only access to the Sea of Azov, shared between the two countries. Moscow has clarified that Russia reserves the right to defend the waters east of Crimea as an integral part of its territory. The Black Sea peninsula in southern Europe rejoined Russia in 2014. The reunion of Crimea has been a sticking point in the relations between the two countries. Both Moscow and Kiev accuse each other of harassing each other’s shipping in the area.